Hao Jingfang was born in 1984. In 2002 she was awarded First Prize in the New Concept Writing Competition. She gained her undergraduate degree from Tsinghua University’s Department of Physics and her Ph.D. from the same university in Economics and Management in 2012. 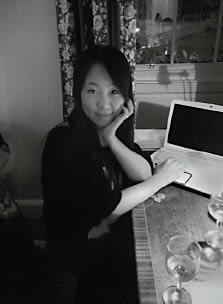 Her fiction has appeared in various publications, including Mengya, Science Fiction World, and ZUIFound. She has published two full-length novels, Wandering Maearth and Return to Charon; a book of cultural essays, Europe in Time; and the short story collection, Star Travellers.